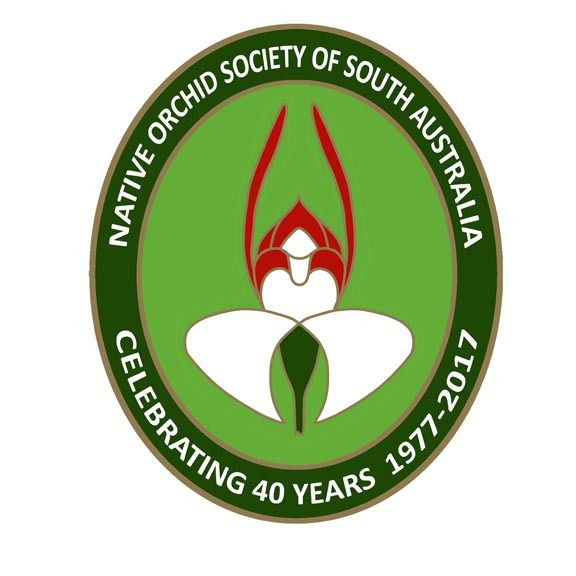 The following article by Les Nesbitt is from Journal of the Native Orchid Society of South Australia, February 2019 Volume 33 No 1. It is the first of a monthly series that Les is planning to produce for this year. It should be noted that February in Australia is late summer and dry; and that this article has been written for Adelaide growing conditions. 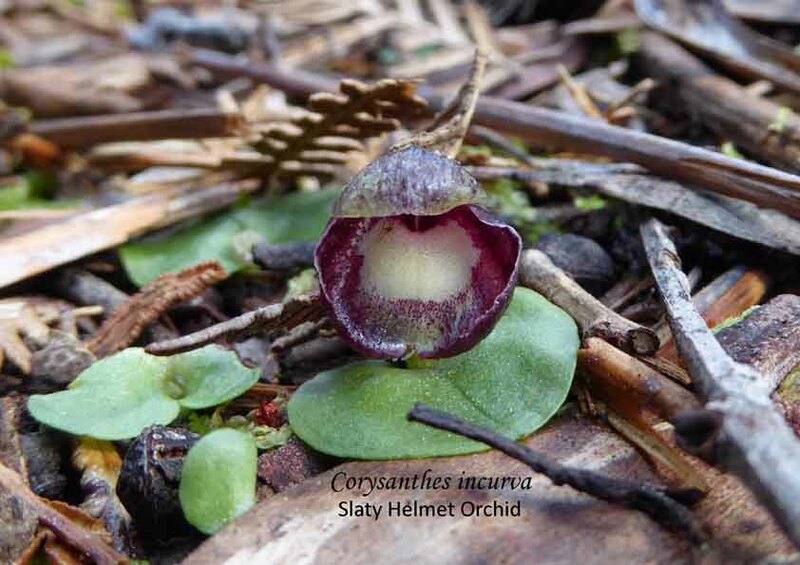 Many of the terrestrial orchids have been dormant. The excitement is building with the new growing season about to commence. First leaves on the early species may show this month so start looking. Look with your eyes not your finger. Many a new shoot has been broken by that dastardly finger. Keep the blue tag pots moist. Blue tag orchids include Diplodiums, Ptst. baptistii and Corybas hispidus, all species from the East Coast of Australia. Finish repotting as soon as possible. Many tubers start shooting this month and are easily damaged by handling. Move all pots to their growing positions for the coming winter. For local orchids adapted to a dry January-March, commence watering in the last week of February and increase watering in March. The water will run down the side of a dry pot and out the drainage holes leaving a dry plug of mix in the middle where the tubers are. Watering three days in a row should wet the pot right through. Continue light watering weekly, so pots do not dry out completely again. Top up the cut she-oak needle layer on pots as needed. This is very important for the fungus dependent species which do not get repotted often. Start the nightly visits to pick off the slugs, snails, earwigs and grubs. Hunts are more successful on cooler nights after rain or watering. If the new shoots get eaten off as soon as they appear you might not even see them and wonder why your orchids did not come up. If the names on labels are starting to fade rewrite them before the name is lost. Remember to pot up any spare tubers for raffles, stalls and the tuber bank later in the year. The cauline group of greenhoods (Diplodium) from the eastern states are the first to shoot and ideally should have blue tags and have been repotted in January with watering commencing at the end of January. There are some 38 species in this group. Some come from high altitudes in NSW/Vic and start flowering there in February. They flower in March/April/May in Adelaide. Flowering plants look different to non-flowering plants. Flowering plants have small pointed leaves on the flower stem. Nonflowering plants have a rosette of rounded leaves flat on the ground. Usually there are only a small percentage of flowering plants. They flower early in the growing season. Most flower in autumn with a few stragglers in winter. None flower in spring. The rosette plants multiply and are easy to grow in regular terrestrial mixes. New tubers form in Autumn. Diplodiums are not easy to flower in Adelaide. Flowers abort if too hot and/or too dry. Grow them in the coolest shady area there is. Keep pots shaded until late March. Local species are easier to flower as they flower in winter. Poor tuber development from flowering plants is common. These plants sometimes die after flowering. Flowering plants can be tall & slender and may need supporting with a wire cylinder. Stakes can damage the developing new tubers.